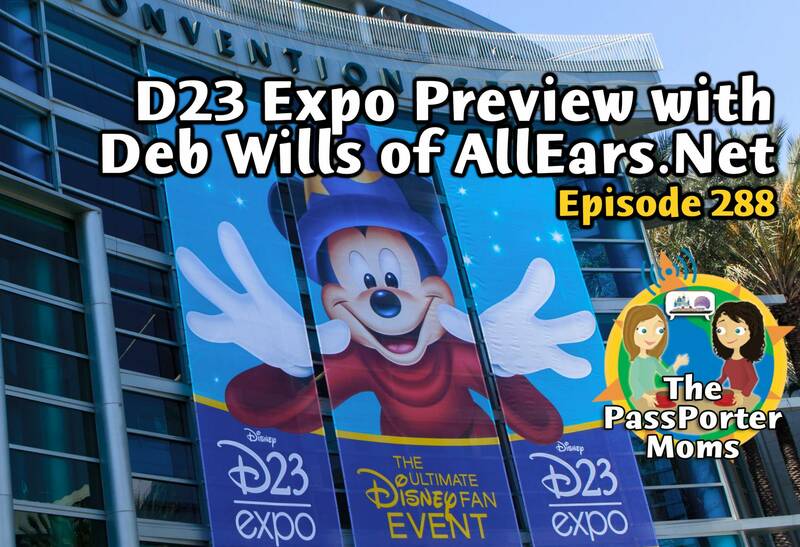 This week Deb Wills, Founder of AllEars.Net, joins Jennifer and Sara to preview the upcoming D23 Expo in Anaheim. Plus news. listener celebrations, and more! Deb is the Founder of AllEars.net, the Internet's most comprehensive resource for Walt Disney World, as well as the Editor-In-Chief of All Ears®, the free weekly e-newsletter with over 143,000 subscribers. Deb is internationally recognized as an expert on Disney vacations. Deb is also a Breast Cancer survivor who is passionate about raising funds for local community-based programs for the underserved and research through her annual campaigns and Avon Breast Cancer Walks. Deb has been recognized as one of Avon's top fundraisers. Wendy Lentz (10ears) writes "Hello Passporters! My family and I are excited for a trip to the world in March of 2016. We have a 13 year old daughter, a 12 year old daughter and a five year old son that will join my husband and me on the trip. This year we will also be traveling with my parents- yay! Do you have any tips for some additional fun for teens and tweens? My girls are seasoned disney guests and I think they are ready to experience some older kiddo fun. Also, do you know if Disney has any policies about the minimum age kids can begin to explore the world on their own? We aren’t thinking about anything crazy here maybe just letting the girls go the the boardwalk to get a funnel cake while their brother naps or letting them explore and hour or so in future world while the rest of us shop in the countries. Thanks for the help! P.S. forgot to mention that we will be staying at the Beach Club (close proximity to the board walk)"